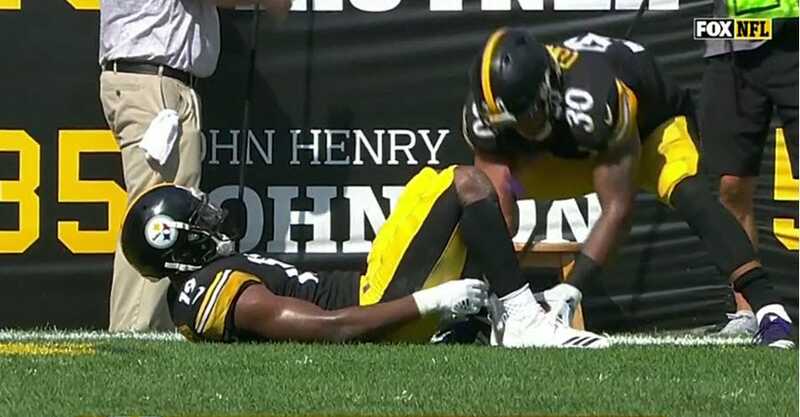 Pittsburgh Steelers wide receiver JuJu Smith-Schuster scored a touchdown early on Sunday against the Atlanta Falcons and then had an eyebrow-raising celebration. Smith-Schuster immediately went to the ground and laid the ball between his legs and simulated giving birth to a baby. A teammate took the “baby” and presented it to Smith-Schuster who then rocked it. With the NFL easing up on celebration restrictions, there has been a race by players to continually outperform each other with new and more creative celebrations. Here is the video, via Fox.